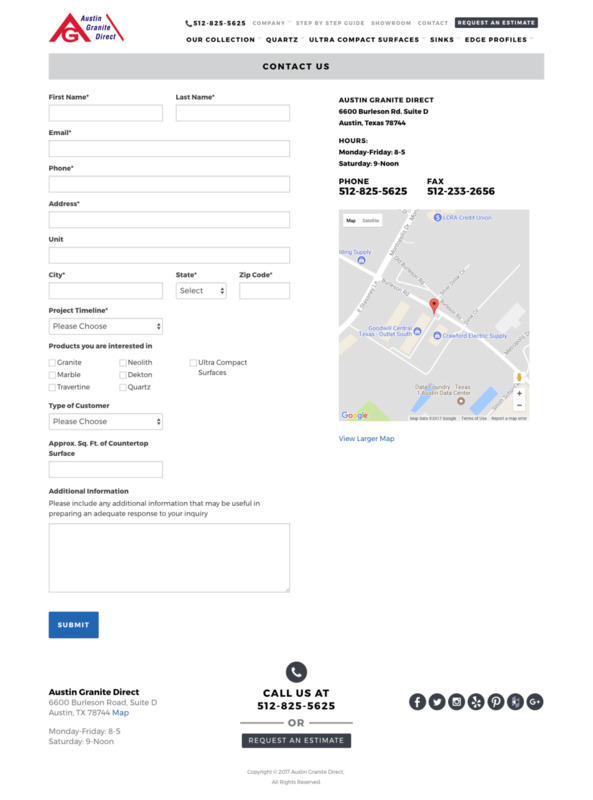 Austin Granite Direct's mission is to serve the greater Austin area with top quality fabrication and installation of granite, quartz and marble countertops and backsplashes. 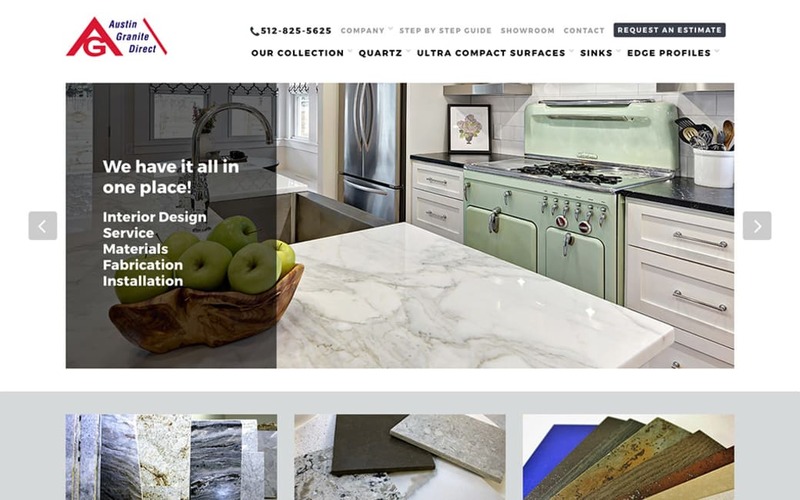 Austin Granite hired White Lion to redesign their existing website which hadn't been updated for quite some time. 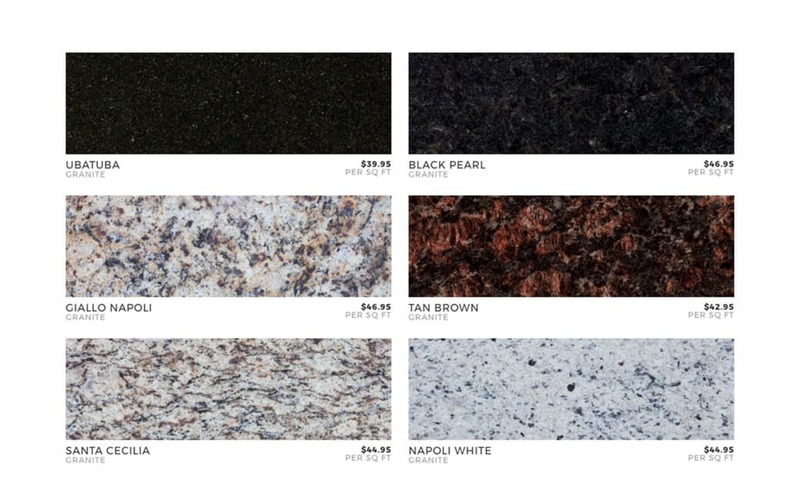 We were challenged with the task of showcasing their hundreds of options of granite selections in a way that was both aesthetically pleasing as well as easy to navigate. 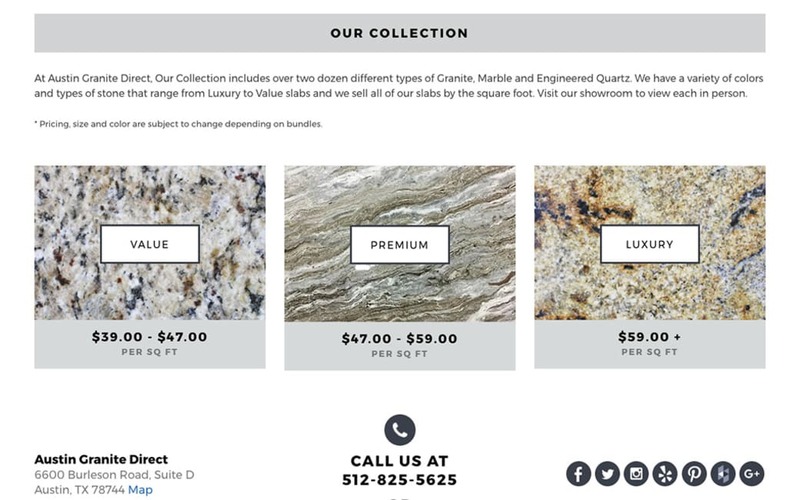 The result is a beautiful catalog of custom options, combined with an experience that will make any site visitor fantasize about their dream kitchen or bathroom. We loved getting to visit the showroom at the start of the project! One of the biggest upgrades from old site is that there are now detail pages for each product, which allow the customer to offer more information and additional photography for each color. Throughout the project, a lot of time and effort was dedicated to showcasing the images and various product options. We learned a lot about counter tops. In addition to being mobile friendly and easy to navigate from any device, the site also does a beautiful job highlighting the customer’s product and demonstrating their success and competence in the industry. 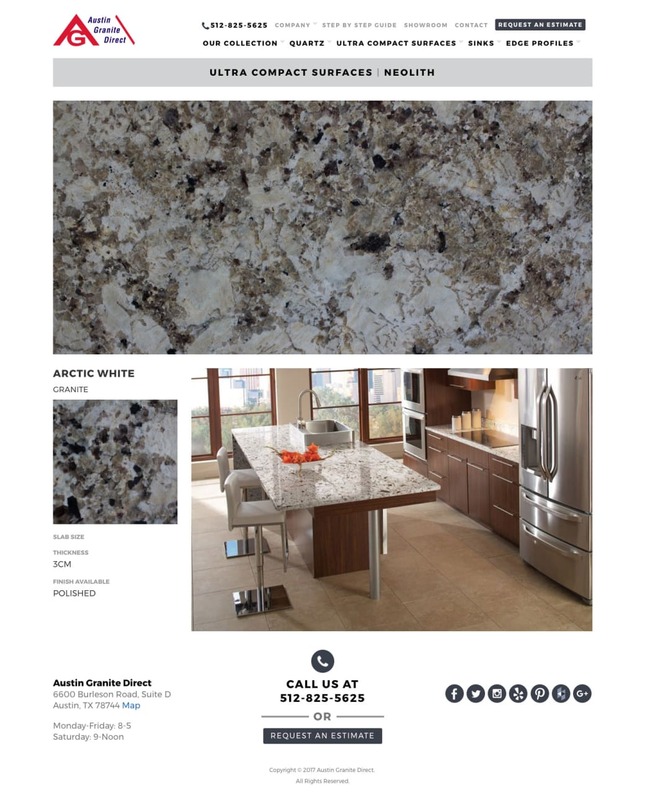 Overall the new Austin Granite site is a huge upgrade from the previous version, and we loved getting to work with this client!